Lauded by French semiotician Roland Barthes as a creator of a “paradisiac text,” a “teeming flux of every kind of linguistic pleasure,” Severo Sarduy recreates a pre-Castro Cuba in his late novel Firefly. Unfortunately, Barthes premature death in 1980 prevented him from reading Sarduy’s slim novel. (He did however praise Sarduy’s earlier novel Cobra in the seminal work, The Pleasure of the Text.) Linguistic pleasures abound in Firefly, about the misadventures of a child named Firefly whose giant head and poor sense of direction get him in all sorts of trouble. Once freed of the machinations of the two doctors, he goes to live with Munificence, sleeping on a couch below an office used by notaries and situated next to a charity school. Sarduy creates an atmosphere of decay and corruption as Firefly becomes employed as a gofer for the notaries and falls in love with Ada, a beautiful redhead student at the charity school. Unlike the decadent works of Joris-Karl Huysmans, Sarduy leavens the atmosphere with color and energy. As Firefly matures, he desires escape from the claustrophobic atmosphere. The setting is asynchronous, existing in a hallucinatory past, with slave markets, mysterious cults, and Soviet advisors. A dream logic persists throughout, with patterns repeating themselves, or reconstituting into different identities. The novel is filled with mismatched pairs, usually one thin and one fat, whether it is Gator and Isidro, along with the two ladies who seduce him. Written in 1990, Firefly can be seen as a parody of the novels of the Latin American Boom and a harbinger of things to come (Roberto Bolaño and Javier Marías). The novel’s tone and structure have it swinging between a kind of magical realism (the opening chapter involving the hurricane) and long-form dream sequences (the chapter with Firefly in The Pavilion of the Pure Orchid, a Lynchian nightmare in cloying tropical heat). Sarduy’s verbal richness sets it against the now-standard Magical Realist novels (One Hundred Years of Solitude, etc.) and Bolaño’s tricksy epics like The Savage Detectives and 2666, works exploring the post-NAFTA socioeconomic situation through a combination of flat journalistic prose and gut-wrenching horror and violence. Sarduy’s pre-Castro Cuba is far from idealized, but he deftly avoids devolving into simplistic agitprop. An overly nostalgic interpretation of the past can be crippling in its construction of false idols, assuming one doesn’t take Faulkner at his word when he said, “The past is never dead. It’s not even past.”* The carnival of grotesques, the decadent corruption, and the dreamlike atmosphere dissolve into a mélange of beauty, cruelty, and comedy. Sarduy is unencumbered by chronological exactitude and the evangelizing obsession to assert that the past was better. 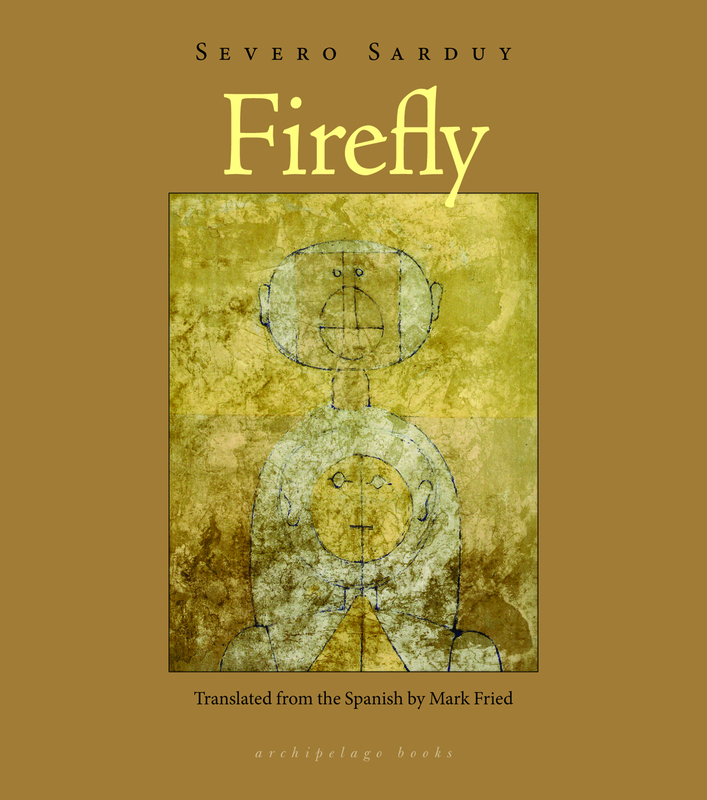 Firefly and Severo Sarduy are worth the time, especially given Mark Fried’s luminous and playful translation. Sarduy is a master stylist, his writing radiating the refined sensuality of Jean Genet, the formalist experimentalism of James Joyce, and the verbal richness of Joris-Karl Huysmans. A gorgeous and decadent seam of literature is revealed in the pages of Firefly, offering yet another aspect of Latin American literature.